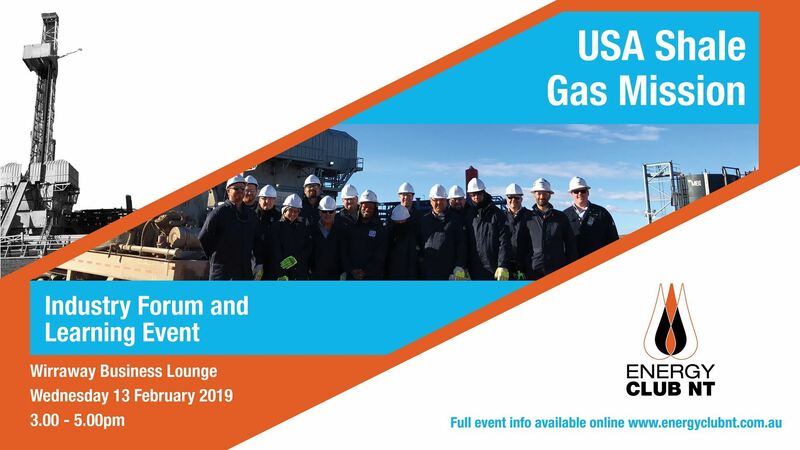 In October 2018, Energy Club NT, with the support of the Northern Territory Government, led a delegation of businesses to the USA on a shale gas learning mission. This industry forum will invite our members and guests to participate an open discussion with participants about their experience and outcomes. Origin's Stephanie Stonier will also share an overview of the Beetaloo basin discovery, current activities and timelines, and potential industry opportunity that may come from developing the resource. The USA Shale delegation was made up of a wide demographic of local businesses and stakeholders representing the Northern Territory onshore gas industry. The delegation travelled with the aim of learning about shale gas development from the Marcellus and Utica plays in Pennsylvania and Bakken play in North Dakota, now at least 10-15 years ahead of the current status of the Beetaloo basin resource and Northern Territory onshore gas development. The event will be an open forum for presentations and discussion with networking drinks and canapes to finish. Parking will be complimentary for this event thanks to Wirraway Business Lounge.